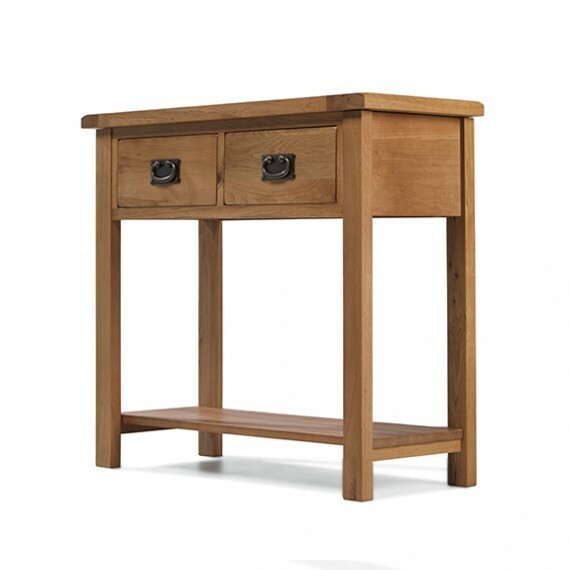 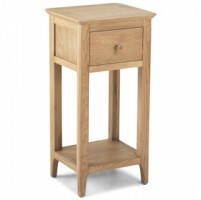 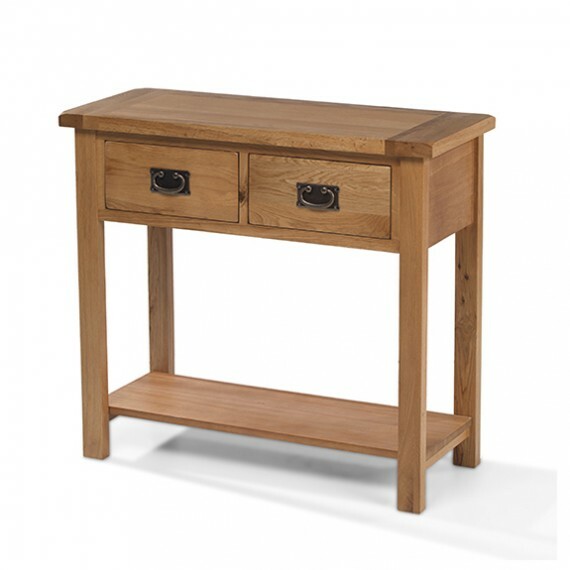 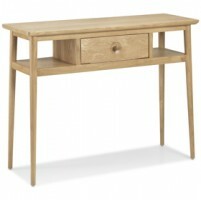 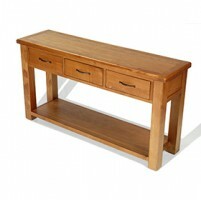 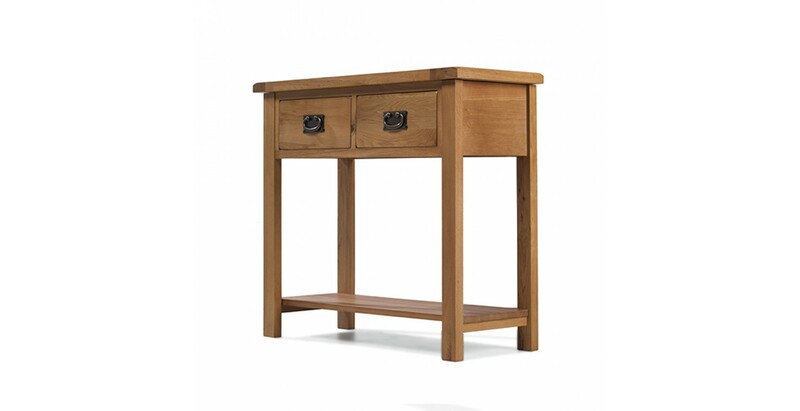 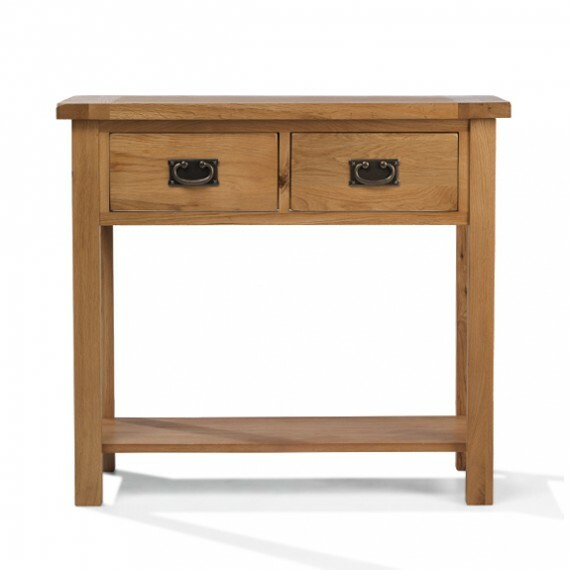 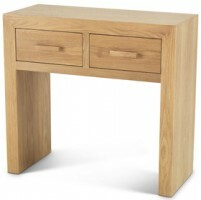 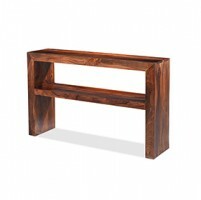 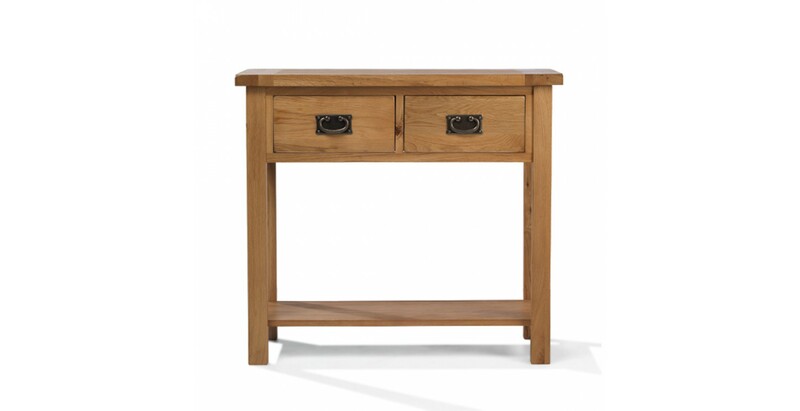 Providing country-style charm for your hallway and helping you to stay organised, the two dovetailed drawers in this reassuringly solid console table will make the perfect home for all those items you're always scrabbling around to find before leaving the house. 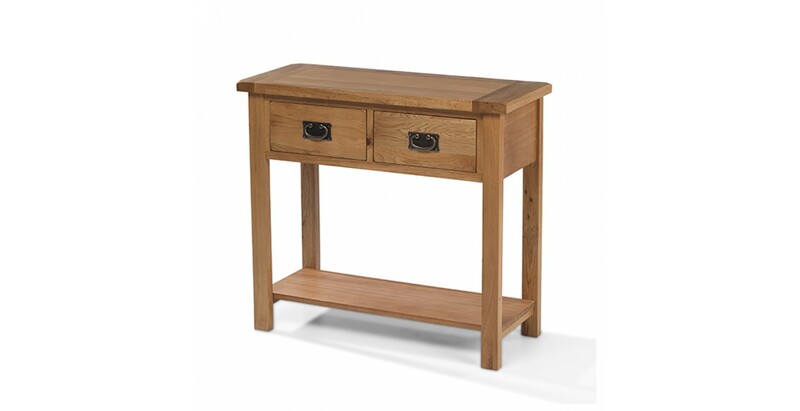 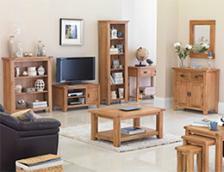 Made from chunky pieces of oak, it's been finished with a natural lacquer to showcase its characterful natural markings and rustic warmth. 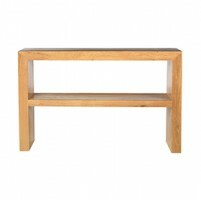 With a useful lower shelf and a thick top for displaying some of your favourite photos or ornaments, other details like the rounded-off corners and peg accents only add to its appeal.